5,717 sq ft; lot: 1.5453 acres - MLS# 1337404 Courtesy of Riley Jackson Real Estate Inc. This custom home was built w true Craftsman woodworking skills, thoughtful planning and functionality for living at this perfect Puget Sound waterfront location. Many of the included fixtures were sourced from iconic buildings & have their own unique history. 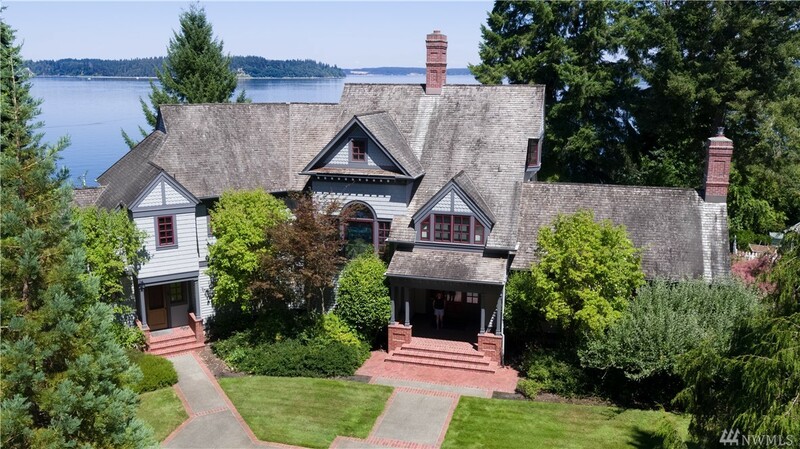 247â of premium waterfrontage w outstanding views of Nisqually Reach, Anderson Island, the Key Peninsula AND Mt Rainier too. Basalt bolder seawall that features a beachside patio & storage building. Tidelands include too. Selling Office: Riley Jackson Real Estate Inc.